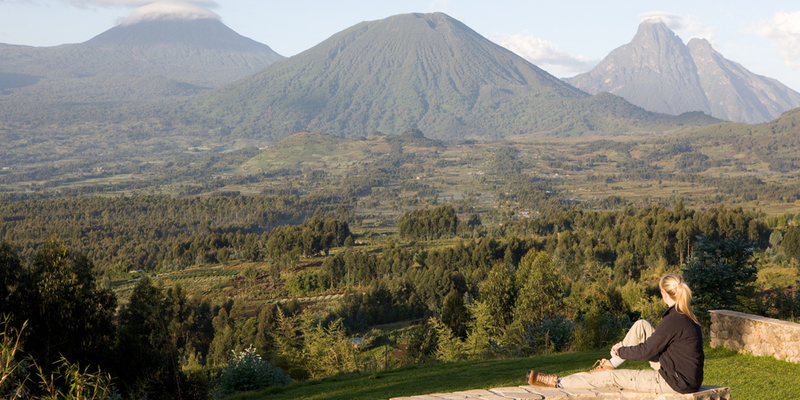 Sabyinyo Silverback Lodge is situated on the edge of the Parc National des Volcans in North Western Rwanda, in an undulating area of 11 hectares with fabulous views. 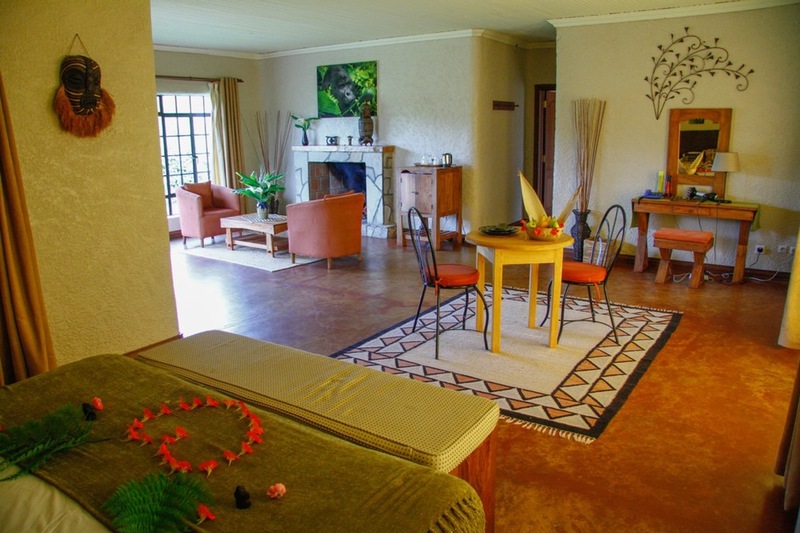 All guest cottages are discretely and privately situated in the folds of the hills and each has its own unique view. The lodge comprises of a central building, with reception, bar, dining room, library/games room, community awareness centre, client washrooms and shop. Both the bar and dining room have extensive outdoor decks from which you will enjoy the spectacular views. From the lodge, you will be able to go Gorilla trekking with Park Rangers. Once located, you will be allowed to stay for one hour with the gorilla family visited.